Qatar National Bank (QNB), the Gulf lender in talks to buy Societe Generale's Egyptian arm, posted a 10.5 increase in third-quarter net profit, driven by increased interest income and a drop in loan impairments. The acquisitive bank, which has been snapping up stakes in small regional lenders, reported a net profit of QR2.1 billion ($577 million) for the third quarter, compared with QR1.9 billion a year ago, a bourse statement showed. The results fell slightly short of analysts' average forecast of QR2.2 billion in a Reuters poll. QNB, whose results are generally seen as an indicator for the sector's performance in the region, reported a nine-month net profit of QR6.2 billion, up 15 per cent from a year earlier, it said in the statement. The bank's total assets increased by 25.3 per cent since September 30 2011 to reach QR351billion, the highest ever achieved by the Group. This was the result of a strong growth rate of 41.9 per cent in loans and advances to reach QR238.6 billion. Meanwhile, customer deposits recorded solid growth of 37.4 per cent to hit QR268.5 billion, said the Qatari lender. The interest income rose to QR3.1 billion in the quarter from QR2.6 billion for the year earlier period. Impairment losses on loans and advances fell to QR238 million, compared with QR250 million the year before. Total assets grew 25.3 per cent during the nine-month period to QR351 billion, the highest ever achieved by the group, as a result of a 41.9 percent increase in loans and advances, the statement said. 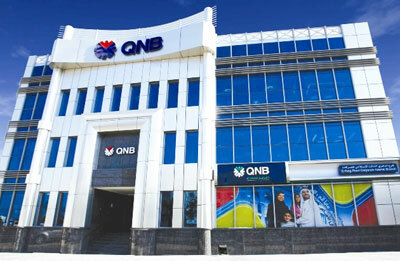 QNB has been on an acquisition spree recently, buying stakes in regional lenders as it seeks to expand its footprint. It is in talks with France's Societe Generale to buy its controlling stake in Egyptian unit National Societe Generale Bank. QNB had been in the running earlier this year to acquire Denizbank, the Turkish unit of embattled Belgian lender Dexia, but in early June lost out to Russia's Sberbank, in a deal worth 3.09 billion euros. In February, QNB issued a $1 billion five-year bond which was five times oversubscribed and received orders from more than 270 investors globally. The bank raised $3.5 billion from a rights issue last year. QNB is 50-percent owned by sovereign wealth fund Qatar Investment Authority and has operations in Syria, Jordan, the UAE and Switzerland.